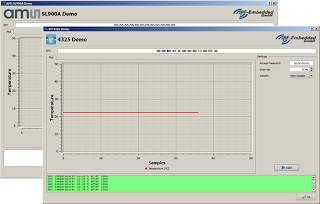 The activities and tests of the RF-Embedded team. 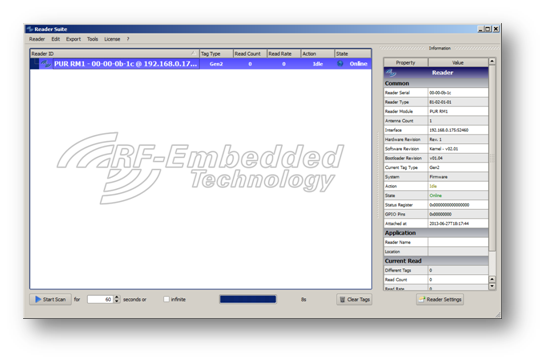 With the latest version of the Reader Suite (1.61.27d) RF-Embedded released a new version of the PUR reader firmware. Read data from the tag directly after it was detected while an inventory. With this new features you can easily manage big tag populations and access the tag much more easier. 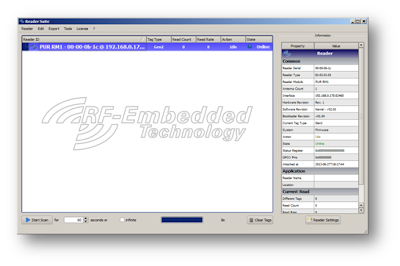 Get the new Reader Suite from the RF-Embedded download server or from the shop. 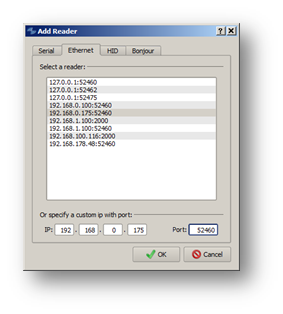 The latest version of the Reader Suite is now available for Raspberry Pi with Raspbian. 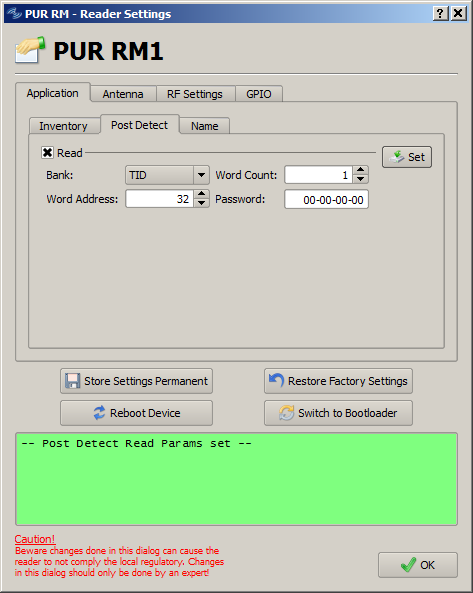 Now you have the possibility to use a Raspberry Pi with a RF-Embedded Reader as a complete RFID Desktop. Get the new Reader Suite for Raspbian from the RF-Embedded download server. The major change of the PUR Reader Firmware is the implementation of a Custom-Tag-Command, which allows you to send any custom commands to the tag. This is especially needed for the new tag generations that offer special functions like temperature sensor. The new version of the C# SDK integrates a test implementation of the Custom-Tag-Command for the tags AMS SL900A and EM 4325. The latest release of the Reader Suite includes the new features for the tags AMS SL900A and the EM 4325. Now you can directly measure the temperature of these two tags with the Reader Suite. 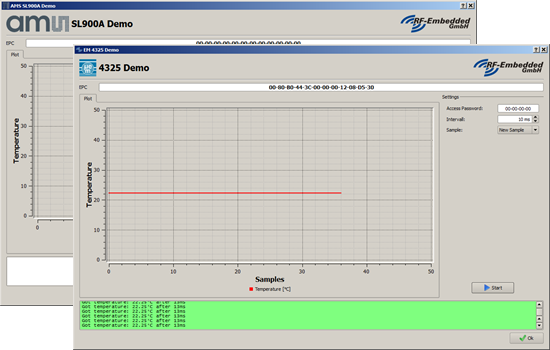 For both tags live temperature plots are used to show the measured values. 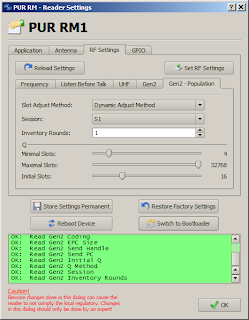 Get the new Reader Suite and SDK from the RF-Embedded download server. 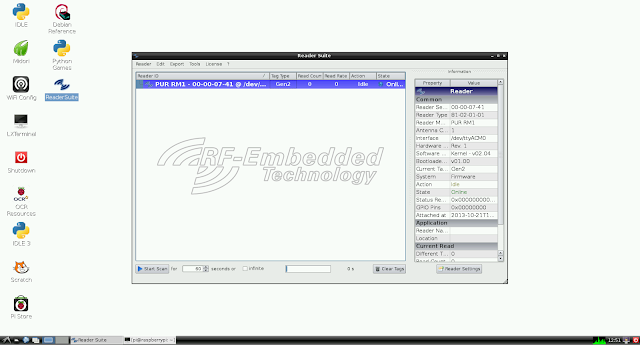 With the latest version of the Reader Suite (1.61.23d) RF-Embedded released a new version of the PUR reader firmware. With this new features you can easily manage big tag populations. 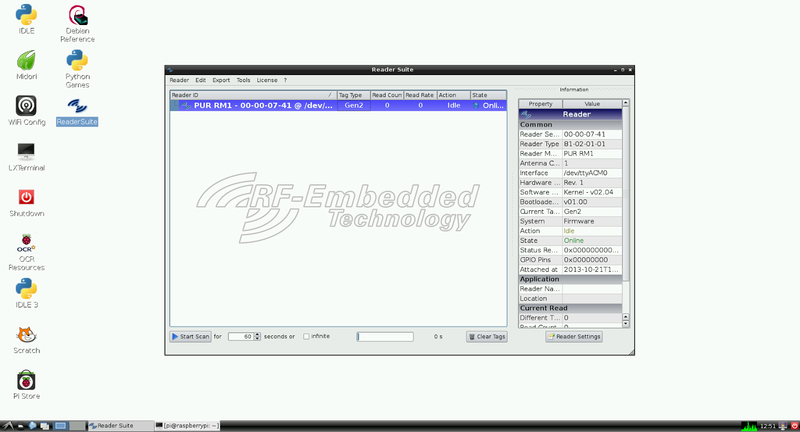 Get the new Reader Suite from the RF-Embedded download server. 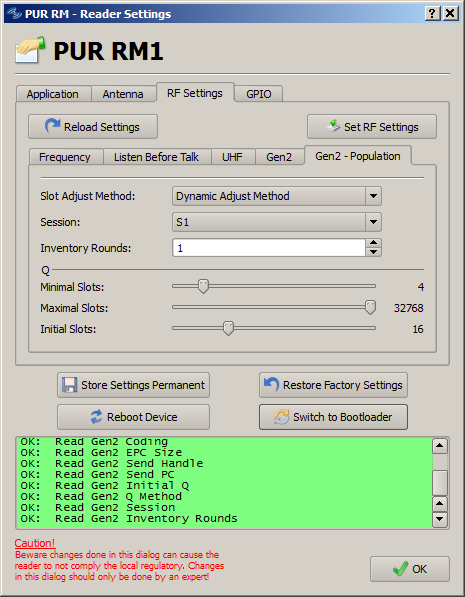 The following tutorial shows, how to use a UHF RFID reader with a Raspberry Pi. To test the interface to the RFID reader, we just create a tunnel from the RFID reader to a PC. Therefore we use the tool socat, but first things first. Now we can start detecting tags.